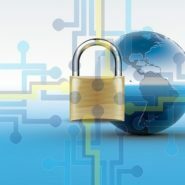 Home » Blog » What Is SSL and When Do You Need It? If you are a keen internet user, you will not fail to notice that there are some websites with URL addresses that start with “https” rather than just the normal “http.” What does that extra “s” mean? Does this extra “s” make any difference to your web experience, web surfing, online buying, and all things related to the internet? For sure, there are important reasons why some websites contain this extra “s” in their URL addresses. This special “s” is related to the term SSL and it appears that it is integral to the aspect of internet security. So what is SSL and when do you need it? Is SSL important for you as a regular user of the web? SSL is an acronym for the phrase Secure Socket Layers. In internet security lingo, SSL refers to the standard security technology that establishes encrypted connection between the browser you are using and the web server. The operative words are secure and encrypted. Basically, it means that the level of security you are enjoying if you are using a website with an “https” URL address is definitely higher than the normal website with only an “http” URL address. In other words, all the data you are using (and transferring) on the internet via an “https” website is completely safe and secure and cannot be used without your permission. Everything that transpires between you and the browser will remain private. Every time you visit an SSL enabled website, you will automatically have a secure connection. This is how this is done. When you visit a website with an encrypted SSL, the browser you are using will connect with the webserver that will examine the SSL certificate. Upon the validation of the SSL certificate, there will be a binding between the browser and the server. When this bond between the browser and the server is established, no other third party can see, access or use the information that you have typed on your browser. This process happens instantly and so is the connection. In effect, you can connect faster to a website with SSL than a website that does not use the feature. SSL becomes very crucial if you are conducting your business online. For instance, if you are convinced that buying your needs online is much more convenient, then you will need to conduct your business through a website with an “https” URL address. That means every data from your bank, credit card, and so forth will only be shared between you and the website where you are buying the product. You will not be able to enjoy the same security level from a website with just the normal “http” address. The same is true if you are on the other side of the fence. If you are selling your products or services online, you can attract more consumers if you will use SSL on your website. Your target customers will have confidence that their personal and private information will remain secure since your URL address has the extra “s” letter attached to it. This fact is given more relevance with a recent study which revealed that approximately 85 percent of people who surf the web will not continue using a website if it is not secure. So, if you want more customers, you need to use SSL. What Are The Important Features of SSL? The most important feature of SSL is that it raises the security level of all data transfers that are coursed through the internet. Whatever information you relay on the web will not be shared with any unauthorized party, except the one that you have given your data to. That means all your personal information, financial data, transactions and activities on the web will remain absolutely private. Another attractive feature is the faster connection that you can enjoy. As such, you will be able to transact your business not just safer but faster as well. The faster you conclude your transactions, the more difficult it is for hackers to access your data. You absolutely need SSL if you are operating an online business where you sell your products or services. In the course of conducting your online business, you will be forced to use forms such as purchase order forms, pro-forma invoices, personal data sheets, and so forth. You will be asking your target customers to fill in these forms to be able to provide them the services or products that they need. How can your customers confidently and safely give you their private personal information if you are not using SSL in your website?